The AWeber integration is within any app that offers a form (except Drag N Build which is a unique app). 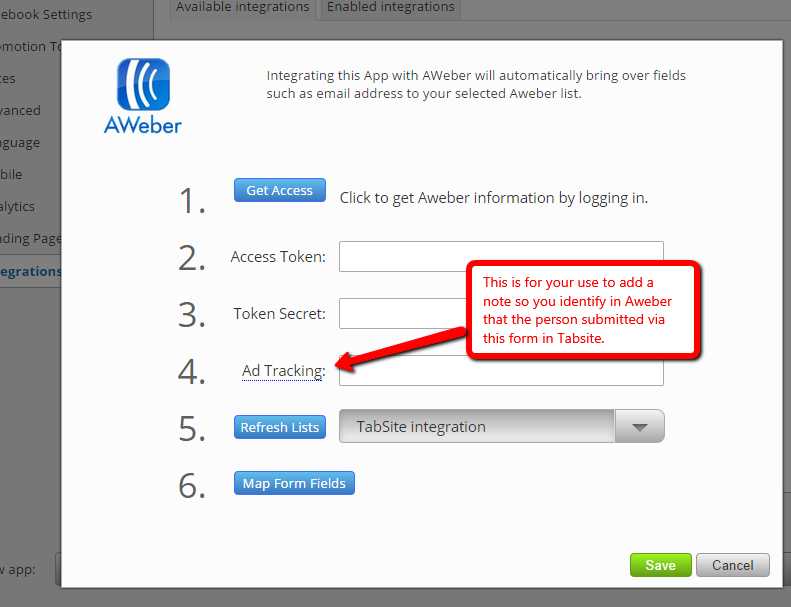 Then select "Enable" on the AWeber option. This opens an input box. Click the "Get Access" button in step 1. 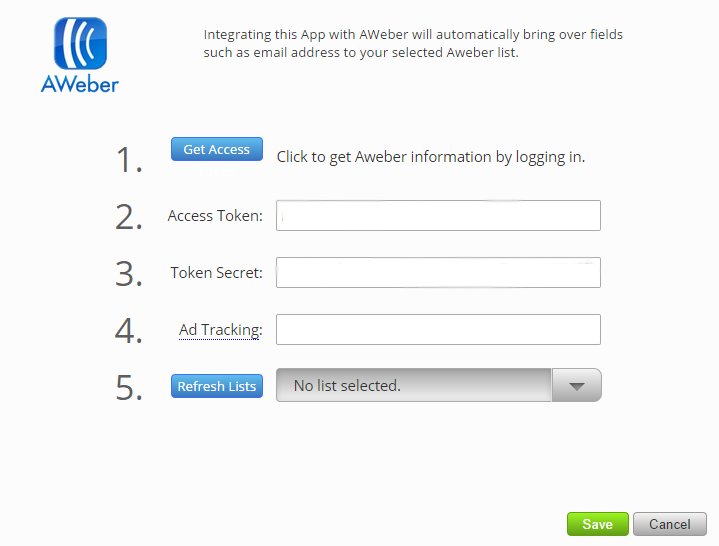 An AWeber window will open for you to login to AWeber. Upon login it generates your Access Token and Token Secret Key for Step 2 and 3. 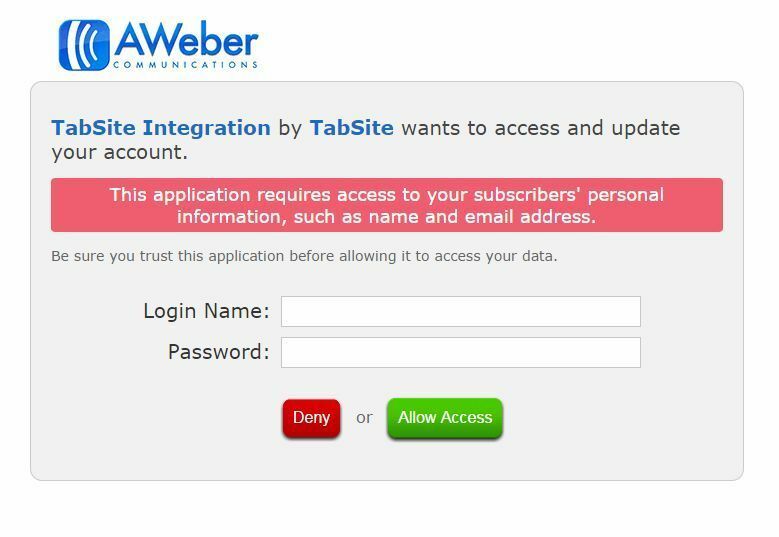 You may put the name of the Tabsite app that you are using on no.4 (Ad Tracking) to note in your AWeber list the Tabsite form you use when it is submitted. Next, click the "Refresh Lists" button in step 5 anytime you want to refresh the lists in TabSite that you currently have in AWeber. 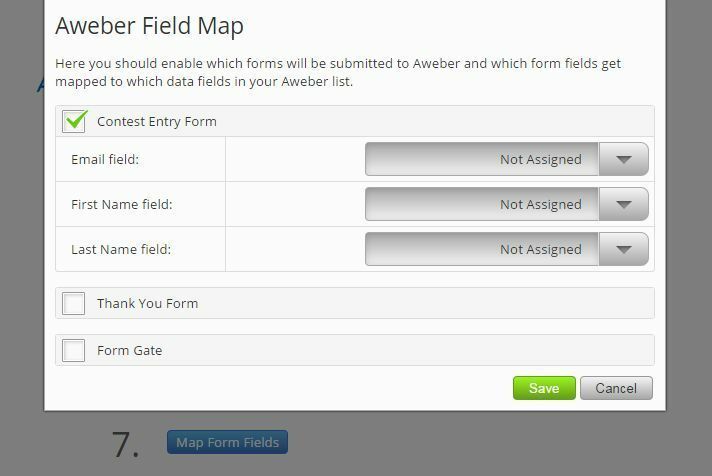 This then launches the 6th step where users need to map the form fields in their app to the proper fields in AWeber. Each time a user submits the form, the form field data is pushed to AWeber where you have access to the AWeber tools to use for nurture campaigns and email marketing to that list!